These holidays are great opportunities for documenting memories and making historical tributes. Be sure to take lots of photos. You never know when you will be able to use these in your company’s publications or online presence. Indeed, maintaining an archive of a company’s history shows resilience and longevity, great traits for attracting new clients. Clients want to hire a company that is stable and will be around for many years. In fact, here at HWDS we are often called upon to create historical publications. Our clients often ask us to create historical books, web sites and maps that might chronicle an event, a company’s origination and development, or that celebrate a city’s anniversary. These are great for commemorative reports, anniversary displays, coffee table books, web sites, trade show displays and banners. 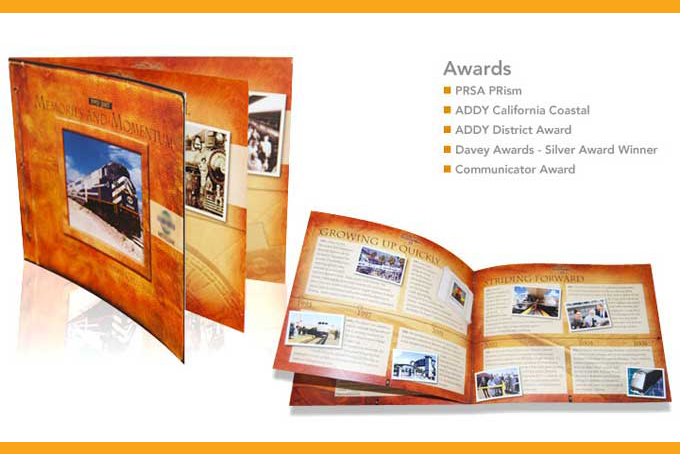 Let’s look at some examples of historical pieces that HWDS created for its clients. 1) HWDS designed Metrolink’s 15th Anniversary Annual Report. This piece features a beautiful blind-embossed cover of a photo album, together with torn-edge patterned backgrounds and photo corners on the inside pages. This publication won several design and public relations awards. 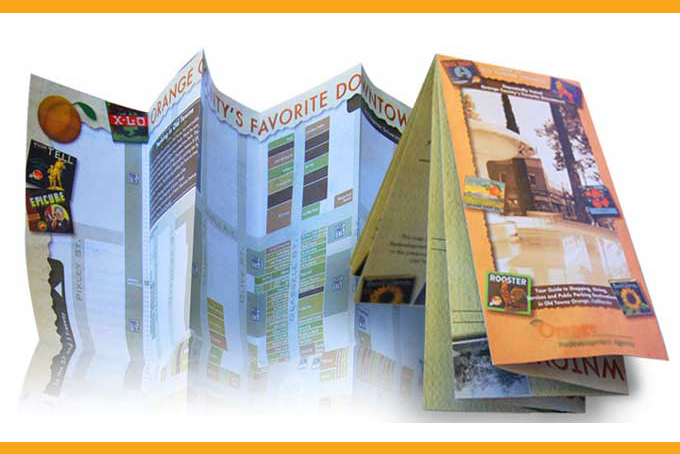 2) Our firm also designed the Old Towne Orange Map for the City of Orange. Here, we used historical photos and orange crate labels from the City’s archives and library to create a map which best represents the look and feel of Old Towne Orange. 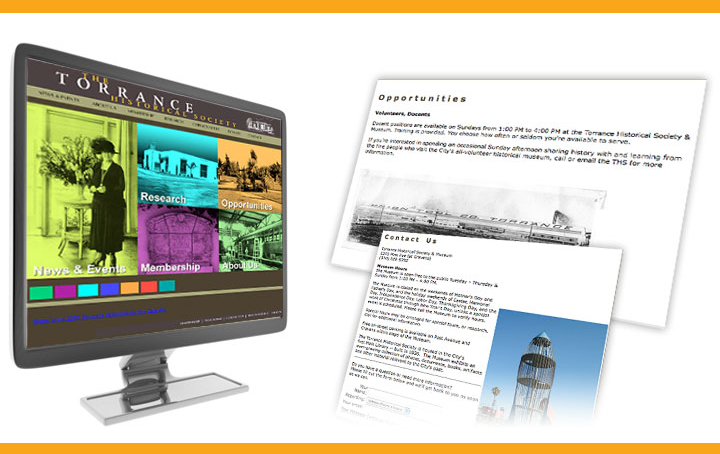 3) We also designed web site screens for the Torrance Historical Society. Here, we converted old black and white photos to hue-saturated duotones to bring out the colors and created an interesting checkerboard image map of the various topics. To find out more about how we can help create a historical publication or web site for your firm or organization, contact HWDS at hwdesign@west.net. Enjoy the holidays! Be sure to celebrate the history of this great nation. This entry was posted in Historical Publications by Successful Corporate Communications. Bookmark the permalink.